There are seven God appointed holidays communicated through the Old Testament Law. The first three spring holidays were fulfilled to the appointed holiday by Jesus Himself. 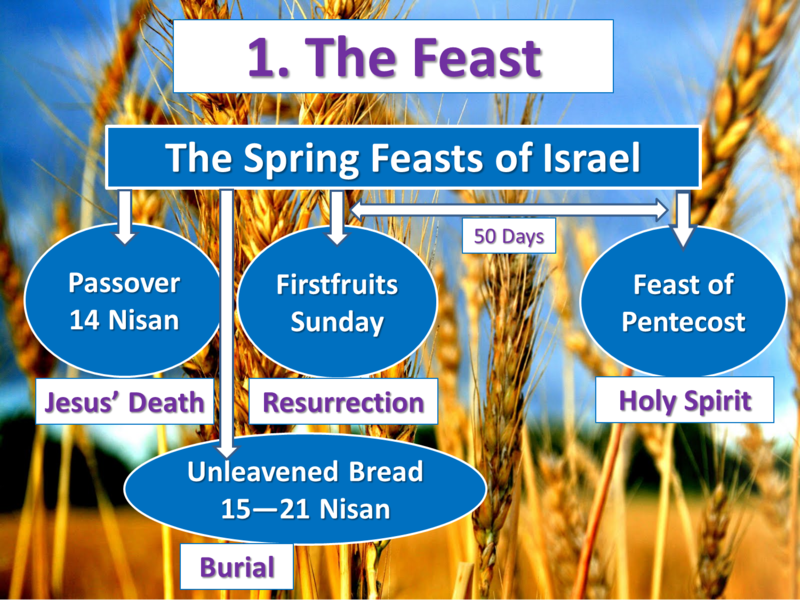 The names of the feasts are: Passover, Unleavened Bread, and First Fruits. This entry was posted on March 13, 2016 at 8:51 PM and is filed under Prophecy, Spring Feasts with tags Appointments, Chag haMatazt, Exodus 12, First Fruits, God, Israel, Jesus Christ, Leviticus 23, Nisan, Passover, Pesach, Reshit Katzir, Resurrection, Unleavened Bread. You can follow any responses to this entry through the RSS 2.0 feed. You can leave a response, or trackback from your own site.